If you’re completely new to Swift 4.2 and iOS 12 development (or need a brush-up), this is the series for you. 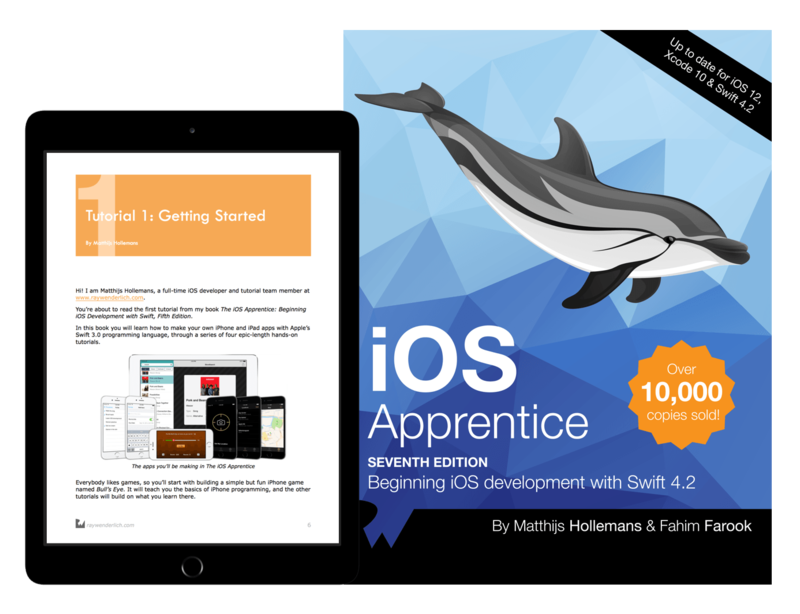 The iOS Apprentice is a series of epic-length tutorials for beginners where you’ll learn how to build 4 complete apps from scratch. Each new app will be a little more advanced than the one before, and together they cover everything you need to know to make your own apps. By the end of the series you’ll be experienced enough to turn your ideas into real apps that you can sell on the App Store. These tutorials have easy to follow step-by-step instructions, and consist of more than 900 pages and 500 illustrations! You also get full source code, image files, and other resources you can re-use for your own projects. 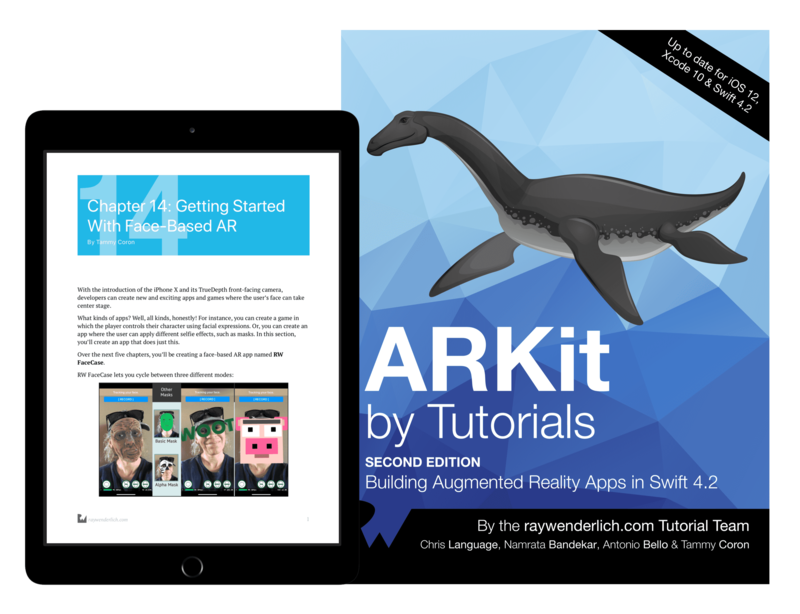 If you’re new to iOS and Swift 4, or to programming in general, learning how to write an app can seem incredibly overwhelming. We’ll start at the very beginning. The first tutorial assumes absolutely zero programming knowledge but still shows you how to build an entire game from scratch. The iOS Apprentice series doesn’t cover every single feature of iOS – it just focuses on the absolutely essential ones that you need to know. Instead of just covering a list of features, the iOS Apprentice series does something much more important: it explains how all the different building blocks fit together and what is involved in building real apps. You’re not going to create quick example programs that demonstrate how to accomplish a single feature. Instead, you’ll develop complete, fully-formed apps that are good enough to submit to the App Store!